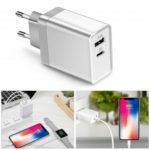 This Konsmart 30W USB Type-C PD Wall Fast Charger provides fast and efficient charging at home, in the office, or on trip. 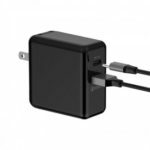 It can charge devices with a Type-C charging port and support up to 30W power delivery charging for PD-enabled devices. 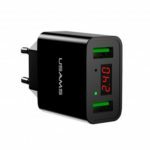 Supports up to 30W power delivery charging for PD-enabled devices, enjoy amazing fast and efficient charging. 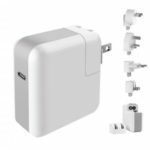 With a type-c to 8pin cable, allows fast charge for iPhone X, iPhone 8 Plus, iPhone 8, or other devices with connector. 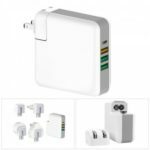 Multi Protection, short circuit protection, over voltage protection, over current protection, over power protection, over-temperature protection, electrostatic protection, safer! Widely compatible with MacBook, Nintendo Switch, Xiaomi Mi Notebook Air , HUAWEI MateBook X and more. Compact and portable design, quite easy to carry with you. Perfect for home, office and travel use.